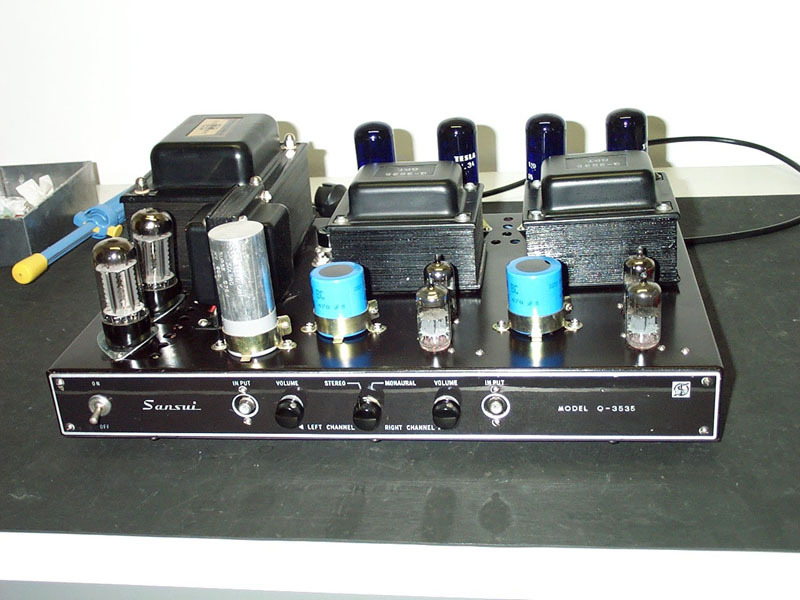 It would be almost impossible to figure out exactly how many tube related products Sansui ever produced. 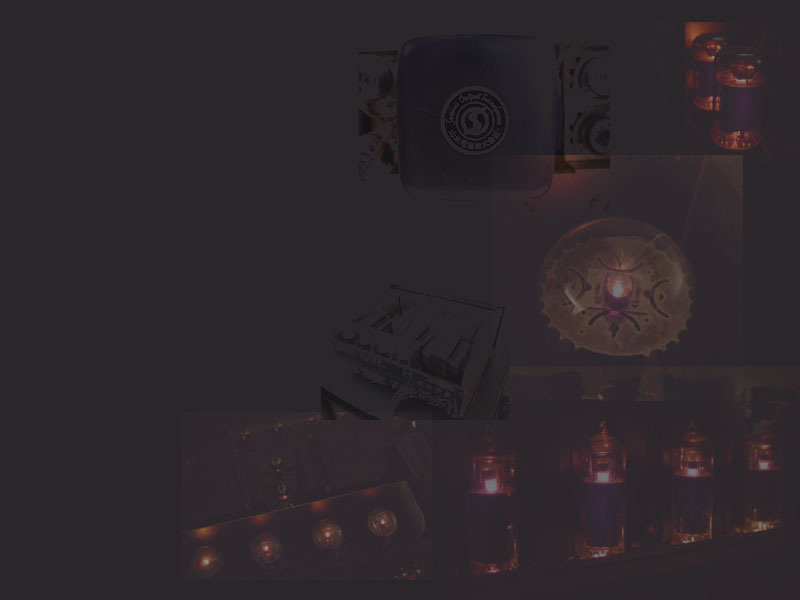 An educated guess from the available information is about three or four scores of finished products, such as amplifiers, receivers, and tuners as well as a few hundreds of transformers. 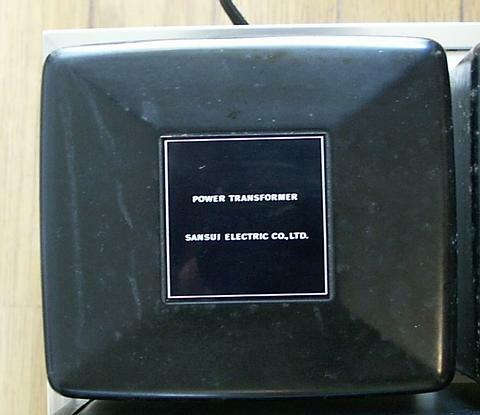 The very first Sansui product was a power transformer called the P-422H introduced in 1944. This was before Mr. Kikuchi founded Sansui Electric. The first products from the Sansui electric include the P-88H, the S-42, the B-501, and the C-801 in 1947. 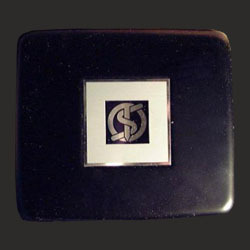 The preceding letters, "P" and "S" signified power transformers, the letter "B" was for output transformers, and the letter "C" was meant to be Choke Coils. 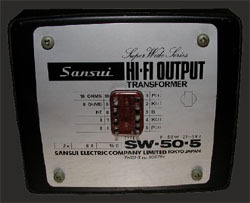 In 1952, Sansui introduced eight input transformers, whose prefix was the letter "A", in addition to 44 new models in the existing Series. The first Sansui amplifiers introduced include the HPR-100(120), the HPR-150(200), the HF-2A3S, the HF-A3K, the HF-6V6P, and the HF-V6K in 1954. 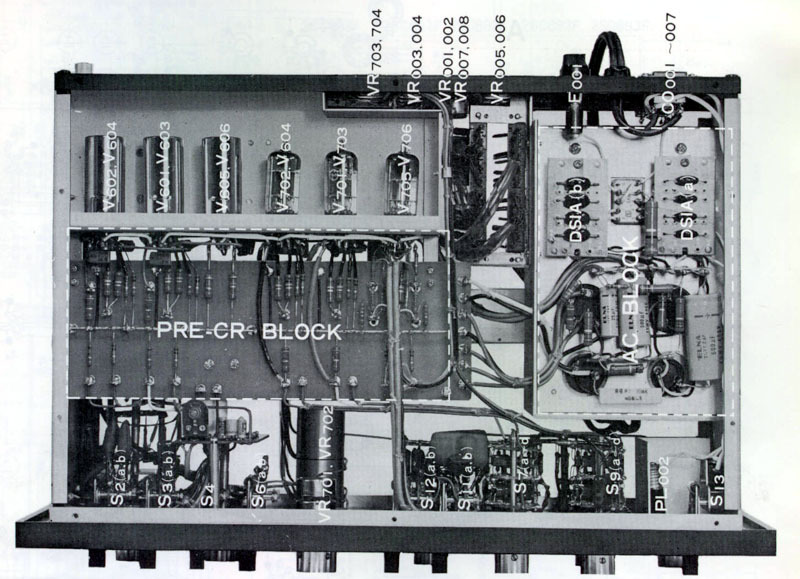 The prefix "HPR" signified pre-amplifiers, and the prefix "HF" was for power amplifiers. 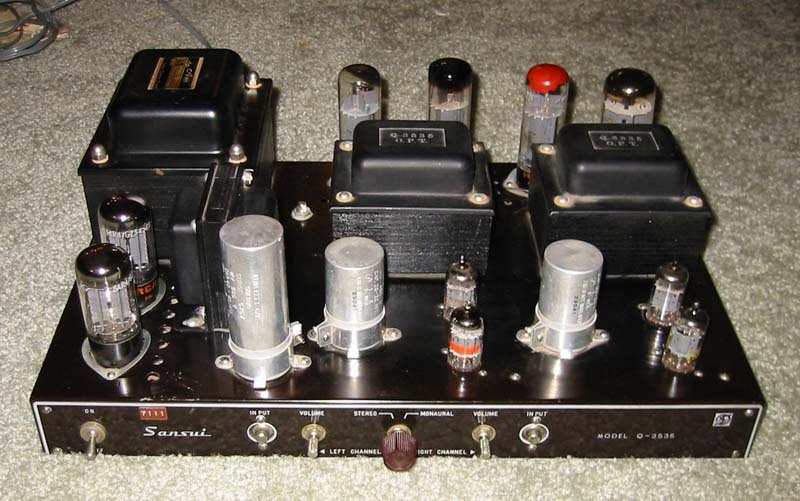 These amplifiers were sold in three different ways, a semi-complete kit, a complete kit, and a finished product. In 1956, Sansui introduced the first receivers, the PM-R500 and the PM-V600. 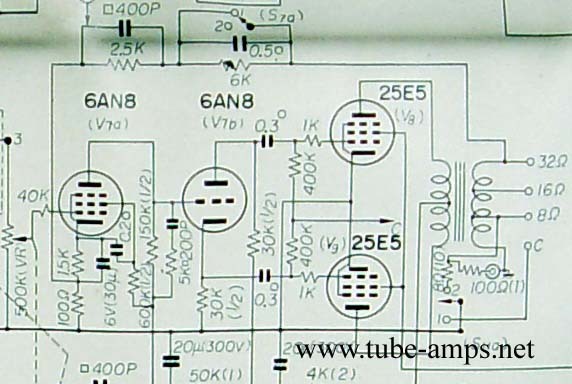 In 1957, Sansui started the Q Series that signifies the higher output power amplifiers. 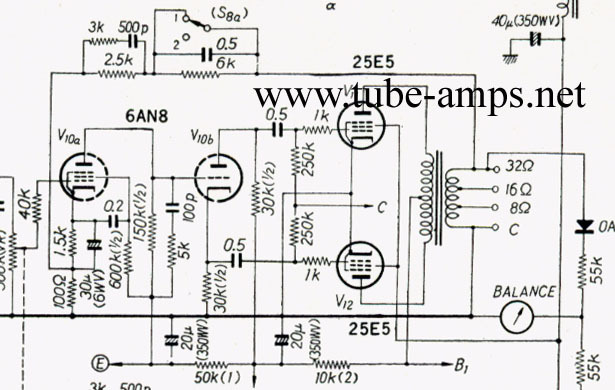 This series include the Q-50, Q-101, Q-55, and the first stereo power amplifier Q-3535 in 1958. 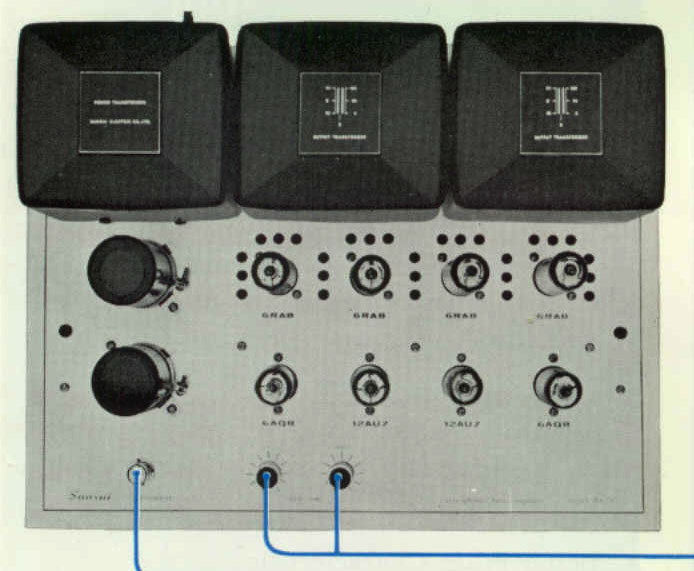 The first stereo pre amplifier SP-220 was introduced in 1958 as well. 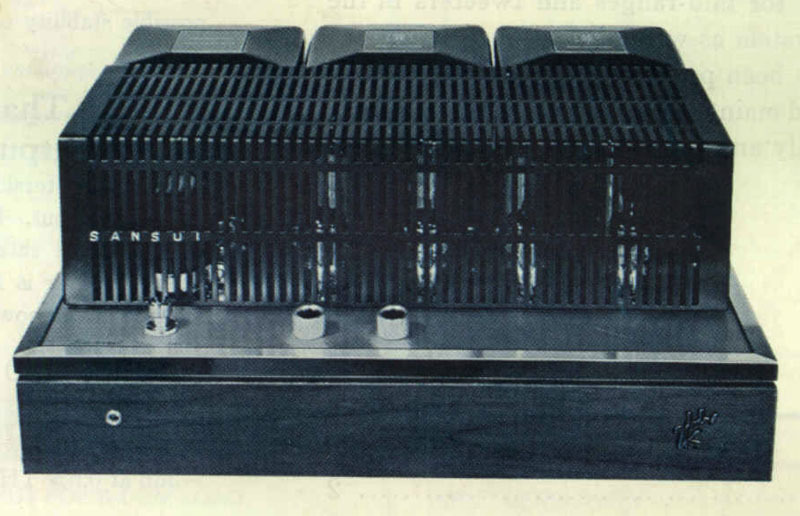 In 1959, the first stereo pre-main amplifier SM-88 was introduced. 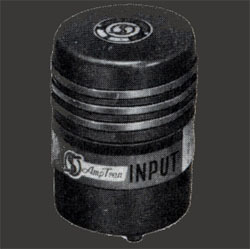 The "SM" prefix was used for the first stereo pre-main amplifier; however, after the SM-88, the "SM" prefix was used for stereo receivers, such as the SM-30 and the SM-80. 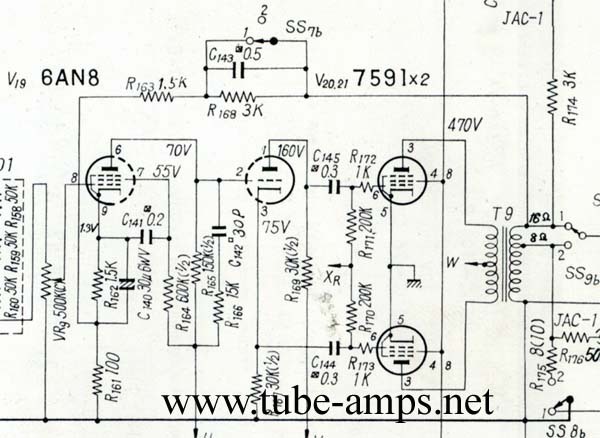 Meanwhile, Sansui introduced the first hi-fi output transformer FW-754 in 1952 followed by the HW-731 and the HW-733 that were for Williamson type amplifiers in 1954. 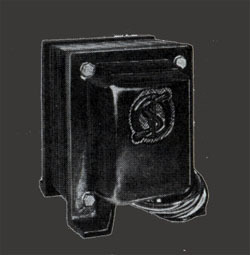 In 1955, a new Series of output transformers, the CW-781, the CW-782, and the CW-783 were introduced. 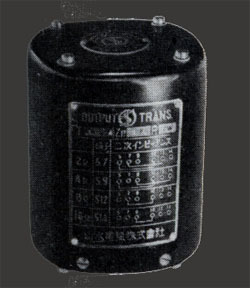 Sansui transformer reputation in these early days was like "Inexpensive, well built, and extremely reliable although looks somewhat unstylish." Until 1963, Sansui introduced various SM Series of receivers. Some of these receivers were also used as core units for the separate stereo ASP series. 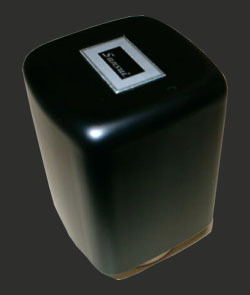 As being mentioned in the history section, Sansui introduced 15 hi-fi transformers in this year. Also 1963 was the year Sansui introduced the 500 and the 1000 Receivers, and that was a beginning of the last Sansui tube generation. 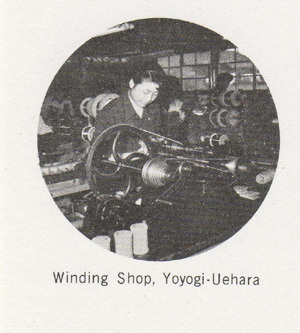 The most significant products in this period were the 500, the 1000, the 500A, and the1000A in receivers. 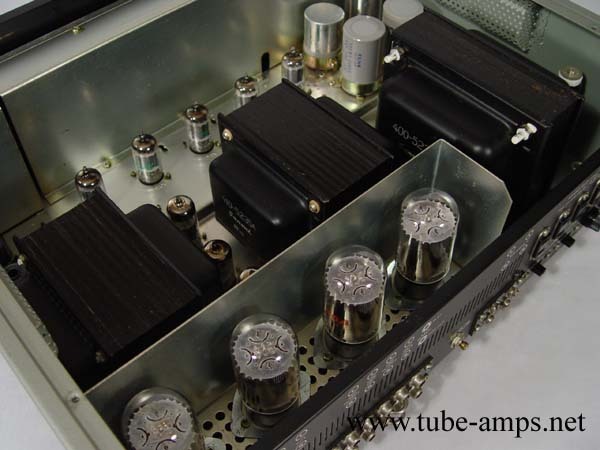 The AU-70 and the AU-111 integrated amplifiers brought the definite Sansui reputation in amplifiers. 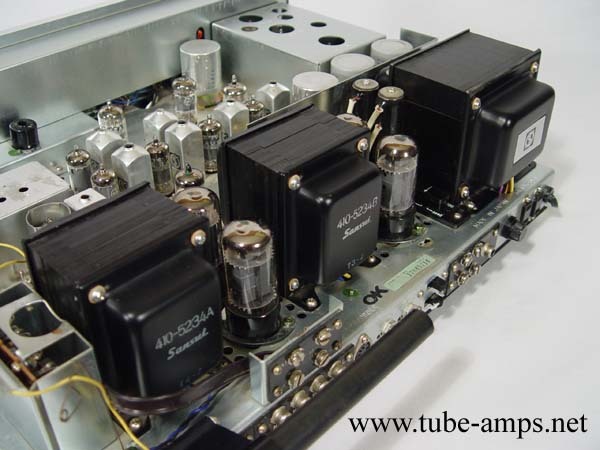 The CA-303 pre amplifier, the BA-202 and the BA-303 power amplifiers were the very last Sansui tube amplifiers. Some audio columnist reported that because these amplifiers were so well built, he could not believe they were designed and constructed by a Japanese hi-fi company (this was way before "Made in Japan" became synonymous to high quality). One of the very interesting characteristics of these units (excluding the BA-202 and the BA-303) was that they adopted the new technology, transistors, in low signal level amplification stages. The last remark should be mentioned is that Sansui never cut corners on any of its products in this era; Sansui receivers were built more like an unit with a tuner and an amplifier together, and Sansui pre-main amplifiers were built like an unit with a control and a power amplifiers together. This was the very reason why customers loved Sansui products - simply well engineered, well built, and sounded superb. For anybody who is looking for early Sansui chronological information, here is the Sansui Product List until 1969 (Link to the Listing Page). Regardless it’s an automobile, an airplane, or anything else, we could find a very nice looking model once in a great while. 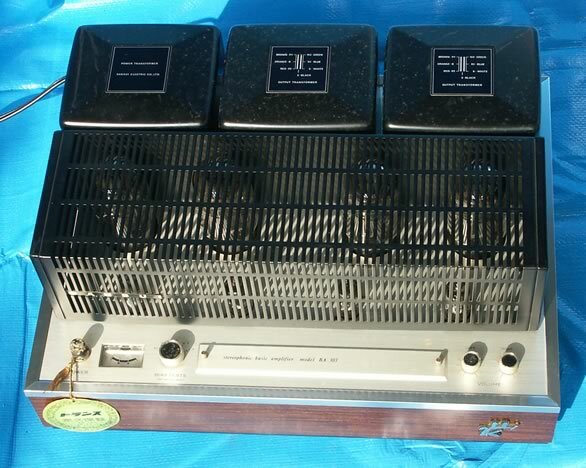 Sansui Stereo Power Amplifier Q-3535 was just like that in the early days. 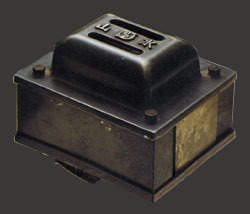 The Q-3535 was introduced in 1958 with 6CA7 (EL34) Push Pull, and yielded 35W+35W. By that time, Sansui had already introduced professional monaural high-power amplifiers, such as the Q-50 (6CA7 PP 50W), the Q-55 (6CA7 PP 50W), and the Q-101 (6CA7 PP 100W); however, the Q-3535 was the first stereo power amplifier Sansui had ever produced. Some historical records indicated that the Q-3535 was used not only for homes, but also for businesses and movie theaters. 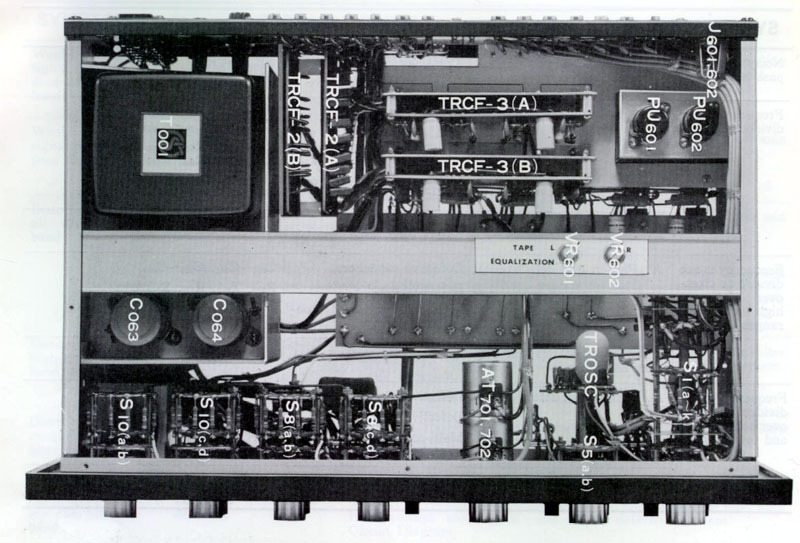 The Q-3535 helped Sansui to establish its name as one of high-end amplifier manufacturers at that time. 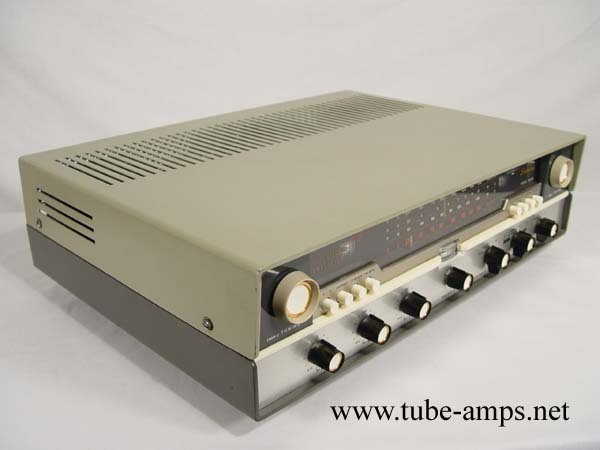 The SM-30, Sansui Super-Mighty Amplifier Model SM-30, was a very special model for Sansui at that time. The SM-30 won Japan Total Design Award at the Japan Composite Design Show, and the SM-30 was also exhibited on the 12th Triennale in Milan, Italy. 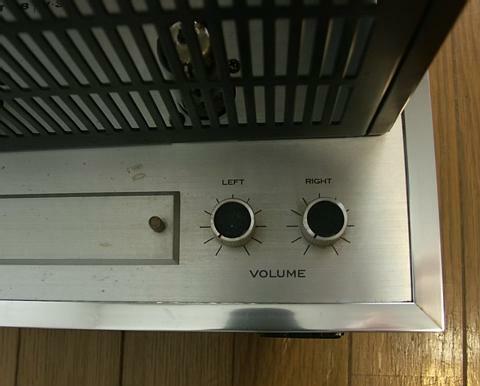 According to Mr. Ishiguro with Hashimoto electric, Sansui tuner-amplifiers had been designed by the founder Mr. Kikuchi until 1958; however, they were not selling well due to the not-so-attractive external appearances. In 1959, a newly employed Mr. Watanabe was given an opportunity to design a new amplifier, the SM-20, and his SM-20 became the instant success due to its contemporary design. The SM-30 was a very next model that came out right after the success of the SM-20. 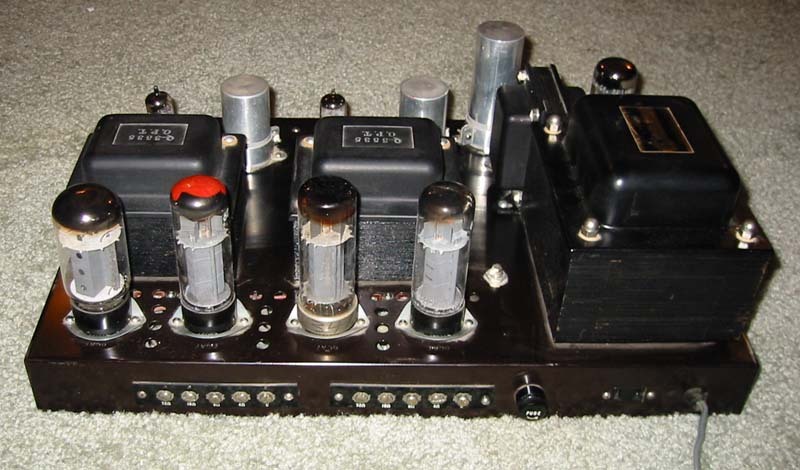 Internally, the SM-30 equipped two AM tuners (preparing for AM stereo broadcasting) as well as a FM tuner although it needed an external FM MPX adopter for FM stereo reproduction. 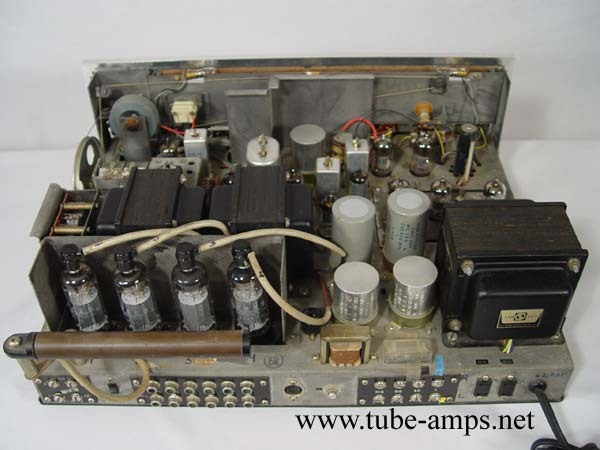 The SM-30 was the last model for Sansui that used all tubes for active components. After Sansui gained the great confidence with the SM-30, Sansui introduced a more powerful and upscale model, Sansui Super-Mighty Amplifier, Model SM-80 in 1961. The SM-80 adopted 25E5 with fixed bias AB1 Push Pull, and yielded 33W+33W with less than 1% THD. 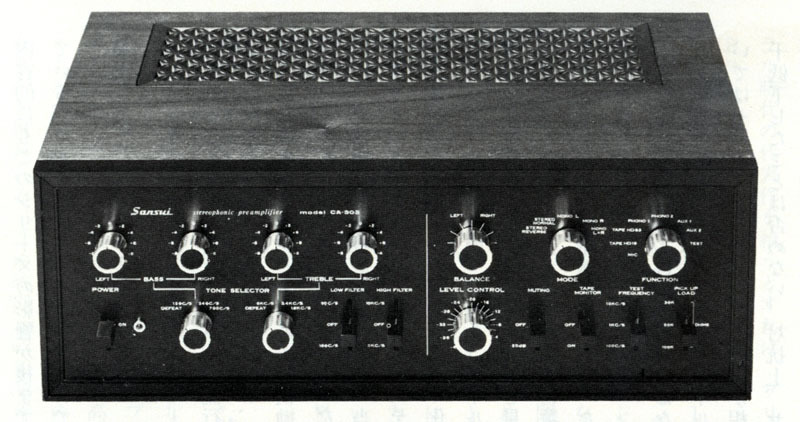 The tuner section of the SM-80 was almost identical to that of the SM-30 with two AM tuners plus one FM tuner. Therefore, the SM-80 still needed an external MPX adopter for the stereo FM presentation. The one significant change of the SM-80 compared to the SM-30 was that the SM-80 introduced a transistorized low-signal-level equalizer (for MM phono, MIC, and tape head) that consisted of two NPN transistors per channel. 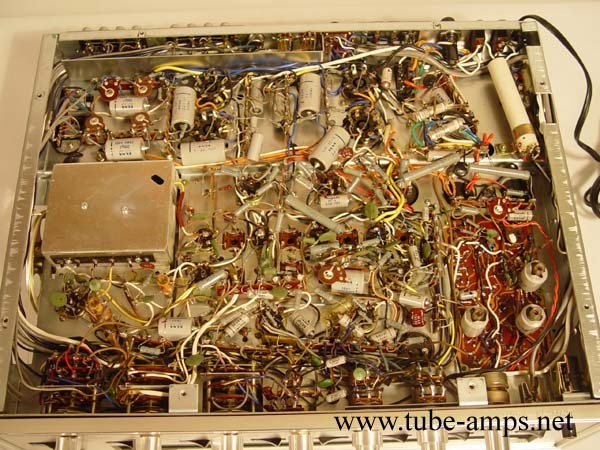 This minor use of transistors in a low-signal-level section became Sansui’s common configuration until Sansui's all tube integrated amplifiers disappeared. 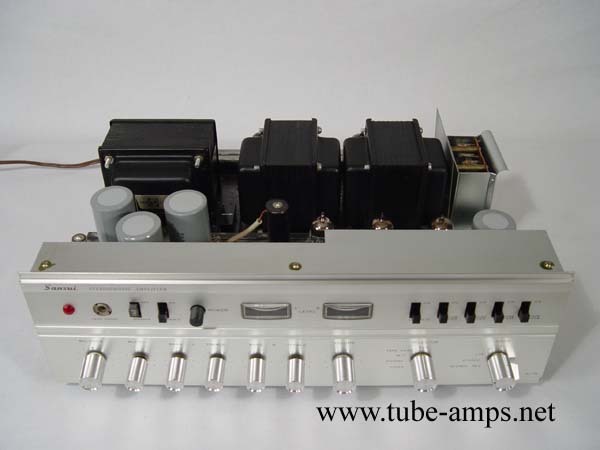 Note: The reproduction models of the AU-111 (the AU-111 Vintage and the AU-111G in 1999 and 2000 respectively) adopted a tube RIAA equalizer instead of that of transistorized one. 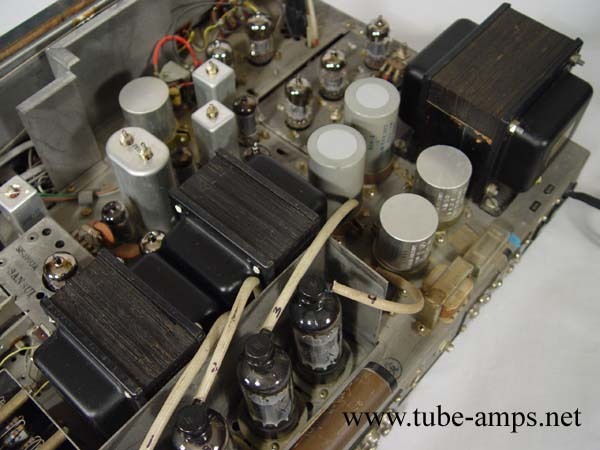 Some speculated that the same transistors were not available any more; therefore Sansui decided to use tubes, and some other claimed that Sansui was pursuing the pure tube sound in the reproduction models. Sansui Model 1000, AM/FM Multiplex Tuner Amplifier, was relatively rare because the model 1000A receiver replaced this model within one year. However, the significance of the 1000 receiver was rather enormous for Sansui. The naming and appearances of these two models seem like implying that the 1000A was modified version of the 1000, but the reality is that these two were internally completely different models. Rather, the model 1000 was miniaturized version of the SM-80. 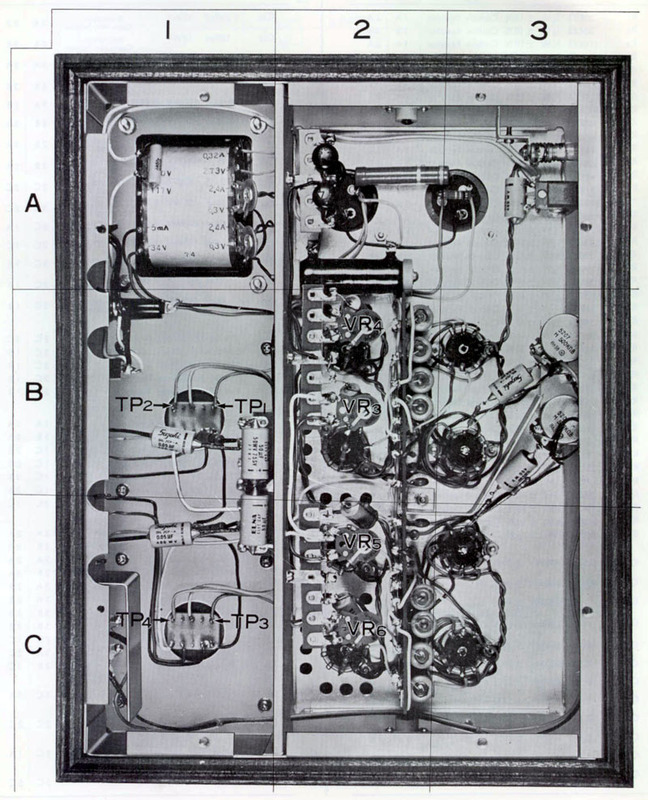 The circuit diagram of the 1000 was almost identical to that of the SM-80 (SM-80's two AM tuners & one FM tuner were replaced with one AM Tuner & one FM Multiplex Tuner on the model 1000) while the 1000 used much smaller parts and was suitable for mass production. 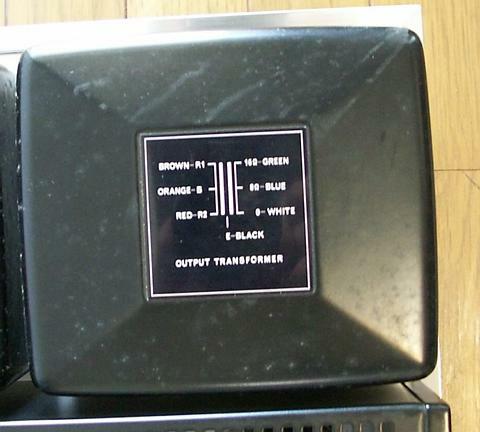 For this end, Sansui eliminated the outer protective case from the output transformers, and used much thinner steal metal for the outer chasses case. The 1000 was the model that established the foundation for the next generation of Sansui products, and its basic construction style was well continued into the transistor receivers in the early 1970’s. Sansui Model 1000A, AM/FM Multiplex Tuner Amplifier, was introduced in 1964, and was available on the market as late as 1972. 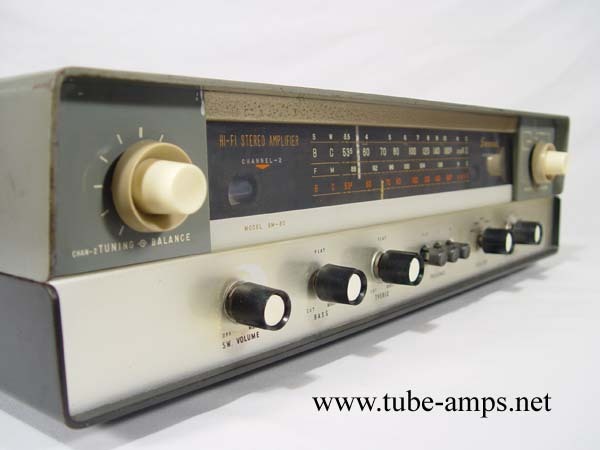 The 1000A was one of the most popular Sansui models in the international market during Sansui tube era, and it was acclaimed that the 1000A significantly contributed for Sansui to establish its financial foundation during the late 1960’s. 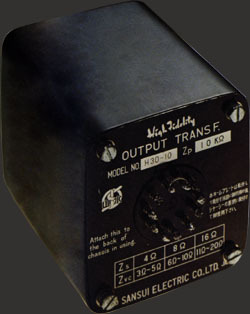 Although the name, 1000A, reminds of the earlier model 1000, the internal circuit was much more advanced and complex than that of the model 1000. The 1000A yielded 40W+40W output into 8 Ohms with less than 1% THD. The 1000A sounded very natural, and its tuner section had very sensitive reception capability. The 1000A possessed a wide variety of I/O functions that were comparable to 1970’s high-end receivers. The model 1000A underwent at least six major version upgrades, and it was Sansui’s very last and the most advanced tube receiver. The only weakness that the 1000A had was an overheating problem due to its congested layout that packed so many parts on a limited chassis space. Until the year 2002 in which Sansui halted its hi-fi business, Sansui’s flagship integrated amplifiers always carry the suffix, “AU”. Sansui also started the long standing 07 Integrated Amplifier Series in 1976 with the AU-707(internationally, the AU-717). All these Sansui's naming traditions were based on the success of the Model AU-70 Sansui Control Amplifier introduced in 1964. 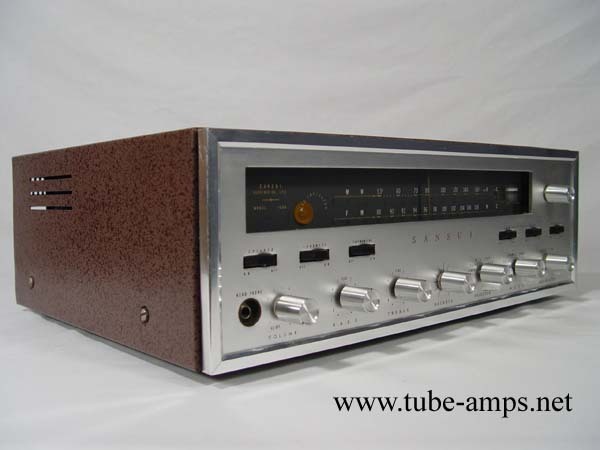 The AU-70 the first model that carried the suffix, “AU”, and the AU-70 was the model that gave an impression that “7” means something special for Sansui. 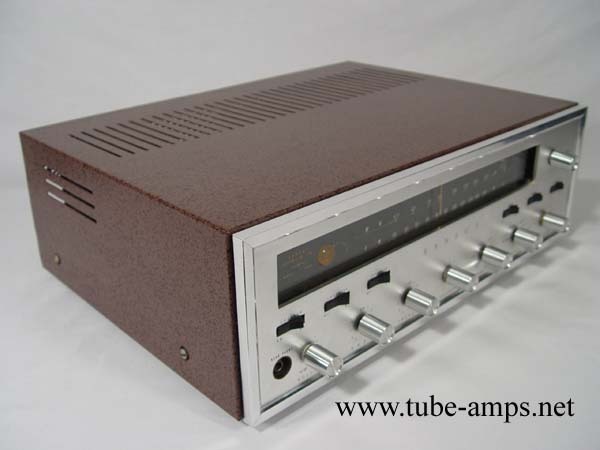 Physically, the AU-70 was a rather light-weight amplifier for Sansui’s standard; however, its oversized output and power transformers in its class (7189A PP) yielded tremendous power and punch on its sound. No matter how much power they are rated with, no transistor amplifiers ever sound like the AU-70. Period. 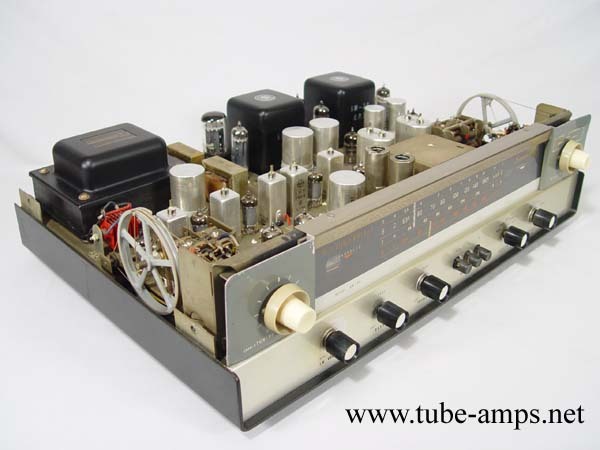 After the introduction of the AU-111 in 1965, Sansui engineers knew they were no longer following the leaders, but they were one of the leaders. 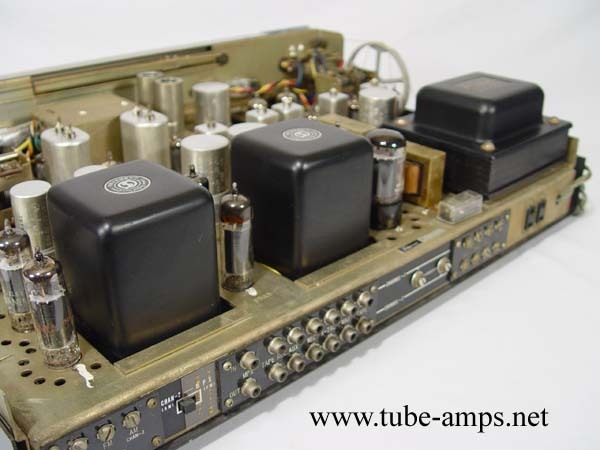 In 1967, Sansui introduced the Stereophonic Control Amplifier CA-303 that consisted of the high quality tube control amplifier and the solid-state active crossover network with exchangeable crossover cut-off boards. 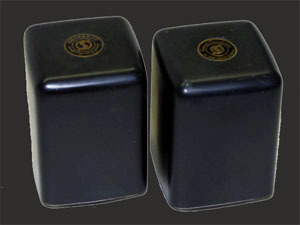 The purposes of the CA-303 introduction were three-holds. 1. To challenge the best of the best control amplifier ever built, Marantz #7 in its sound. 2. 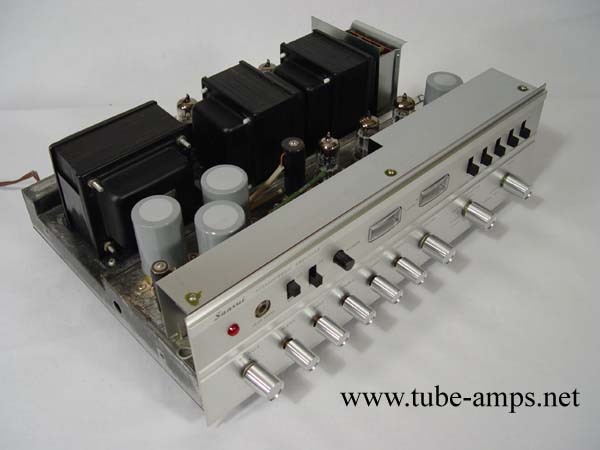 To offer the highest quality control amplifier for active crossover systems. 3. 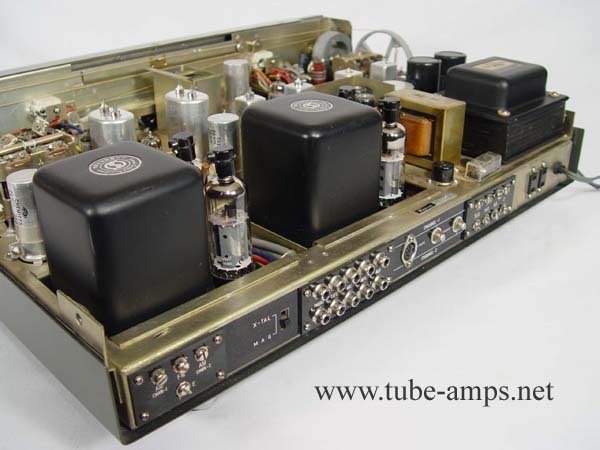 To remind the world that tube amplifiers are still the best in sound. 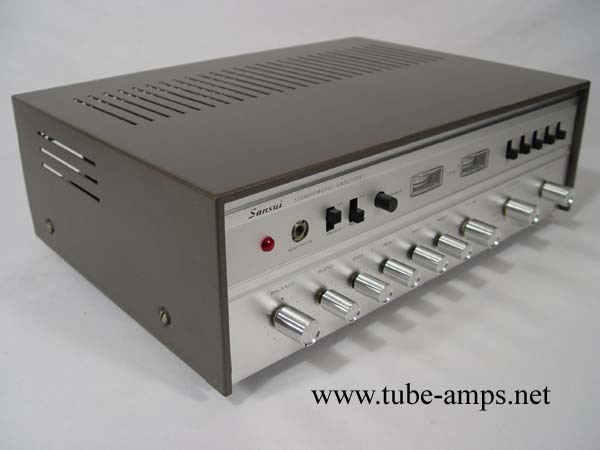 By incorporating the face-plate design of the best seller AU-777 Solid-State Integrated Amplifier into the CA-303, Sansui emphasized that the CA-303 is indeed looking for a future. 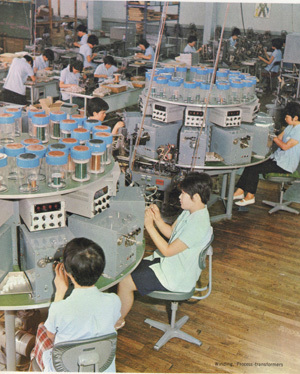 One of the most significant characteristics of Sansui technology was its continuous efforts for improvement - within a model as well as between models. 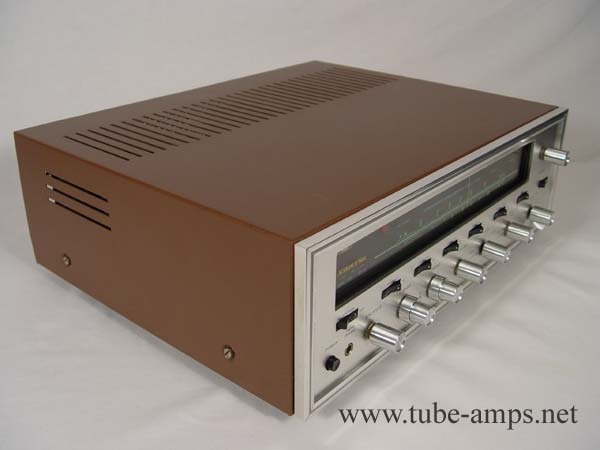 Sansui BA-202 Basic Power Amplifier was no exception for this rule. Many years before even anybody started talking about the sound quality of triode amplifiers, Sansui introduced the triode tuner amplifier SAX-300 in 1965. 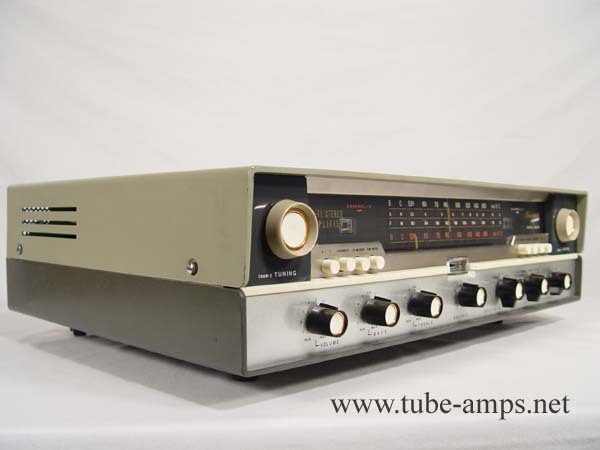 Because of the success of the SAX-300, Sansui introduced the improved version, the SAX-600 Tuner Amplifier in 1966. 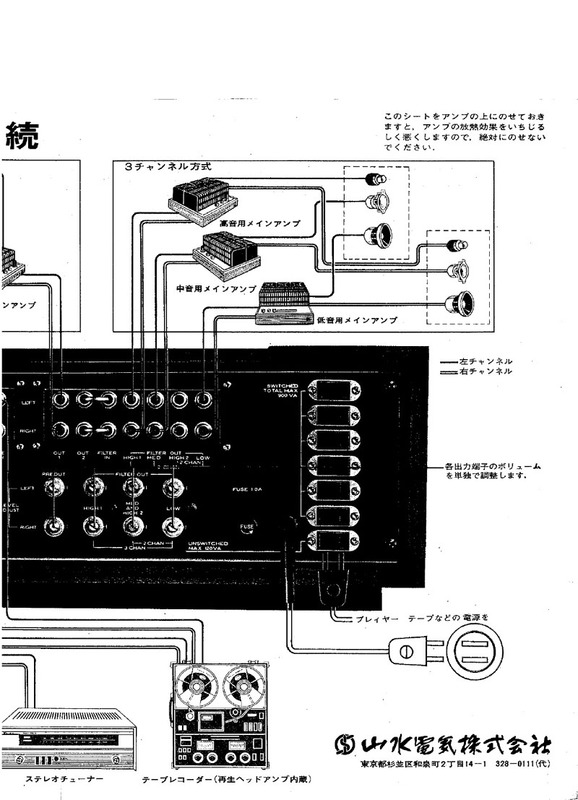 When, Sansui planned to introduce the tube based active crossover systems, Sansui adopted the output stage of the SAX-300 and the SAX-600 into the BA-202. 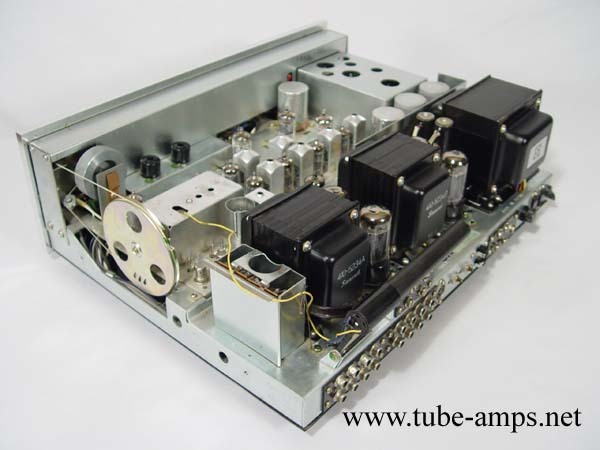 This is because the BA-202 was designated for a mid or high frequency power amplifier that does not require as much power as low frequency power amplifiers do, but does require more sensitive sound that triode amplifiers could offer. 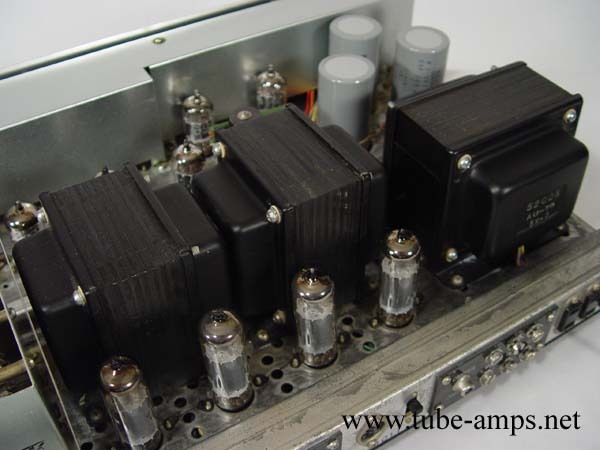 The BA-202 was the third generation of 6RA8 PP triode amplifier that Sansui continuously improved on. 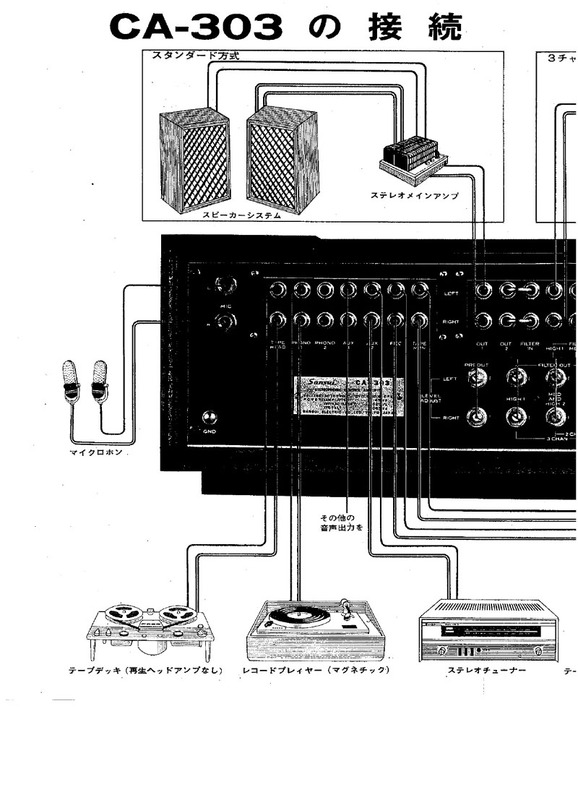 Therefore, Sansui introduced the BA-202 with confidence for its purpose - this was exact example of the Sansui tradition; continuous efforts for improvement. 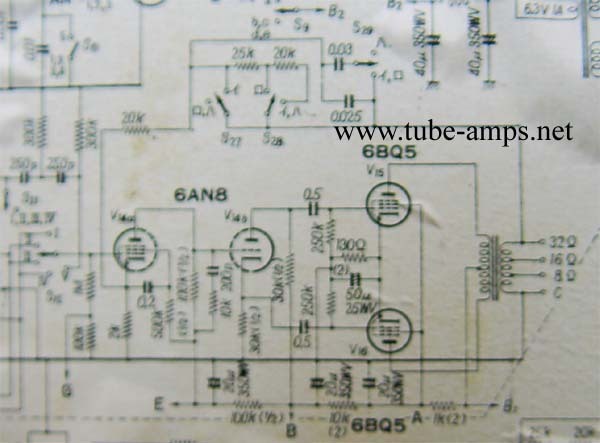 Once Sansui discovered that triode amplifiers could yield more sensitive sound, Sansui extended this finding into an extreme end with its own way. 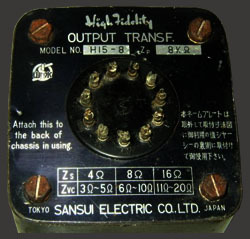 Sansui specifically redesigned a power and an output transformer for the high-power triode connection. Then, Sansui incorporated the most powerful and best sounding power tube, KT-88 into these iron beasts. 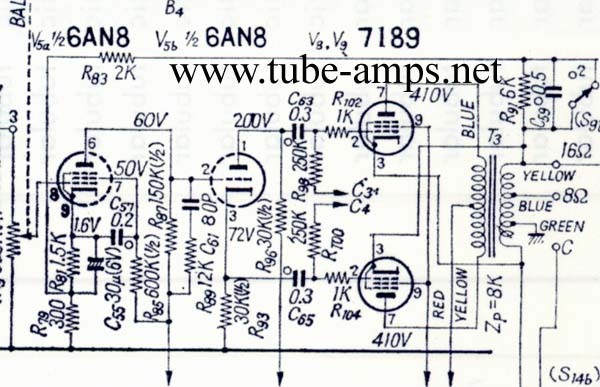 The result was the Basic Amplifier BA-303 that was designated for a low frequency power amplifier on tube based active crossover systems that utilize the CA-303 control amplifier. Of course, Sansui did not stop there. 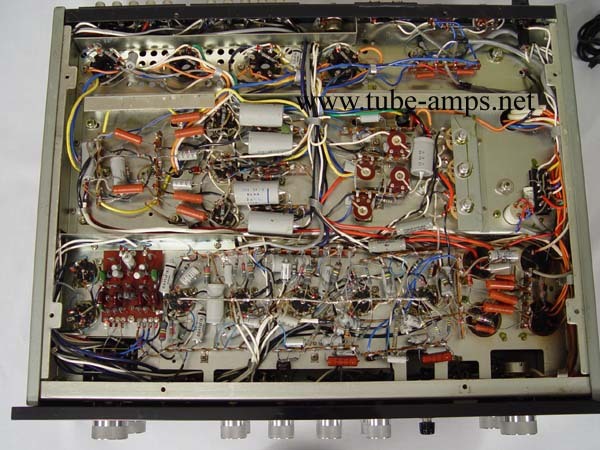 The BA-303 had a specific meter that indicates bias irregularity so that users can replace power tubes or coupling caps before sound starts deteriorating, or worse, worn-out parts start destroying transformers. 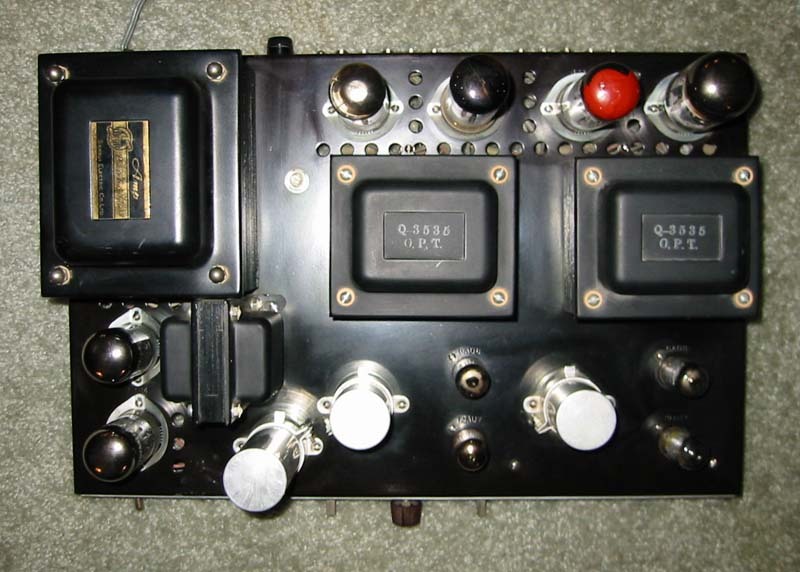 The BA-303 also equipped a switch that can control dumping factors into six different degrees. This functionality allowed the most sensitive sound control for the most devoted users. 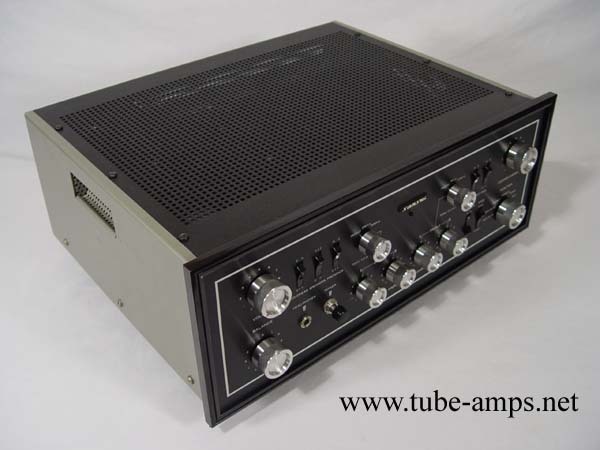 All these unique features indicate that the BA-303 was the amplifier that could predict further developments in tube technologies. However, this was an era in which transistor amplifiers have just begun their evolutions and tremendous circuit developments. 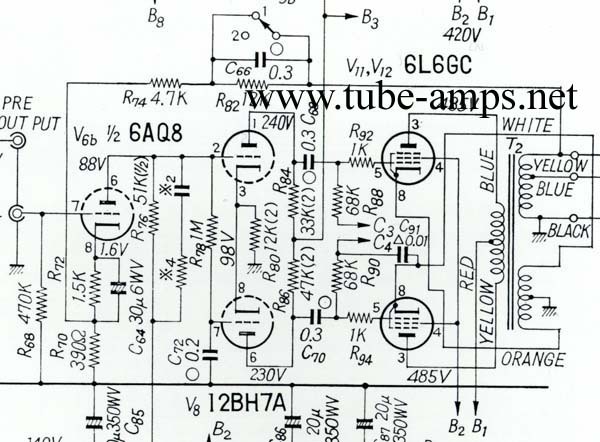 It took next twenty years before tube amplifiers were widely rediscovered in the country of rising Sun. And, it took another five years to across the Pacific Ocean. The BA-303 has been almost unknown in the Western World; however, it seems like the BA-303 gave us a bridge from yesterday to today, and beyond….